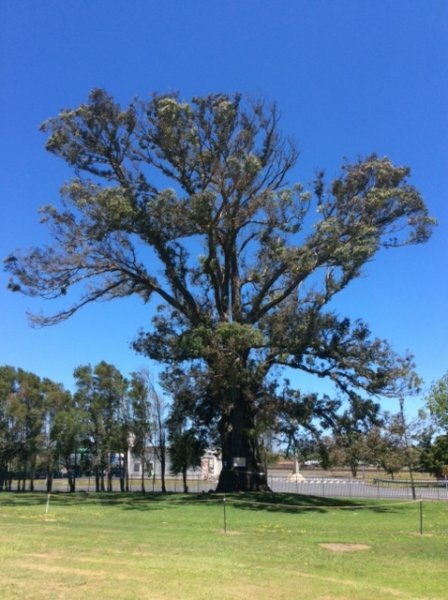 'This tree was planted in 1918 by a Mr Prendergast, a prominent member of a local Ngaruawahia family at the time. It stands in the grounds of the Ngaruawahia Primary School. A large number of descendants still live in the area. 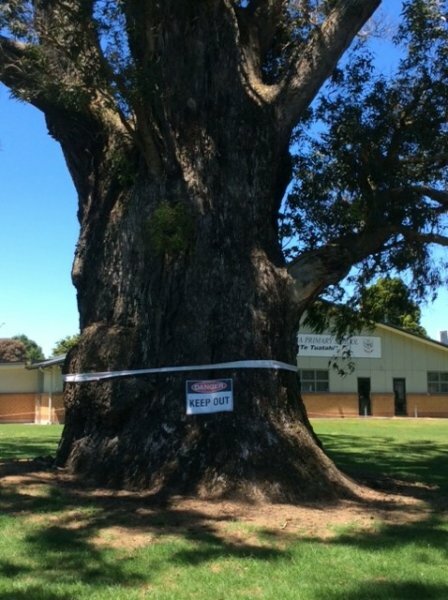 This tree is recorded on the Waikato District Councils' District Plan 1995, under section 53.13 Schedule of Notable Trees in Ngaruawahia. Reference is made by Burstall/Sale in Great Trees of NZ page 80 to a Eucalyptus macarthurii in the Matamata Domain. This tree was removed due to safety concerns. On page 81 another specimen is mentioned as being in the Southwell School grounds. Known as 'Big Tom' it was taken down in 1995. Also on page 81 is a photo of a specimen in the grounds of Holy Trinity Church Richmond in the Tasman District (see record TSR/0695). This tree has been identified as Eucalyptus globulus subsp. bicostata. There are several other E. macarthurii in the Nelson District but none of them have a girth close to the Ngaruawahia tree (Jones, P. 2002). 16 Oct 2016 Wakeling, J. & Sirl, G.